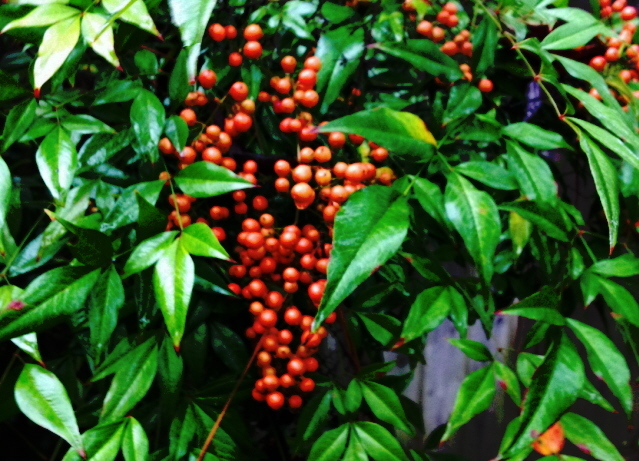 The nandina shows us survival, strength, and beauty. If I have found a message through the course of writing 364 of these articles, it is this. You have power over your mind. You can find your own happiness. You can be you—it matters not what others think. When I go to the grocery store these days and smile at a perfect stranger, they seem to be delighted and they always return the gesture. The final thing I found—just lately—is the saying, “You are the only you in the world.” I guess I always knew that but didn’t recognize it.